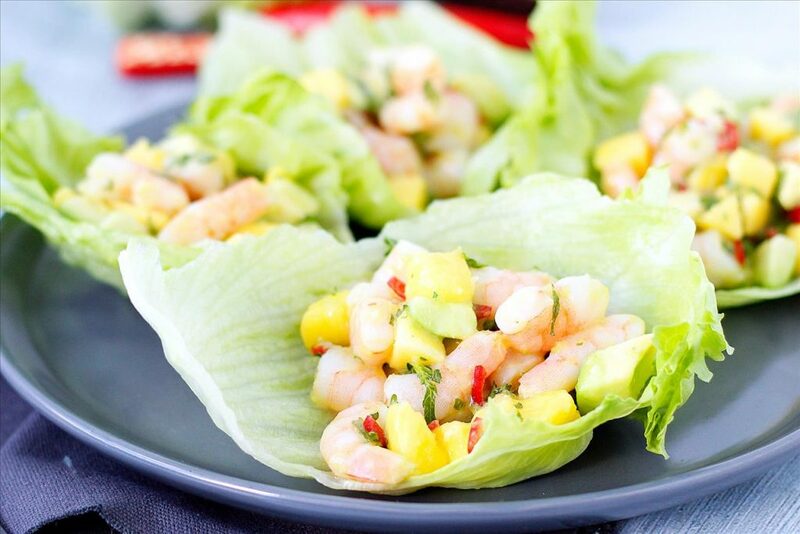 Fruit, vegetables, lean protein and healthy fats – these prawn and avocado lettuce cups are the perfect starter to a meal. In a bowl combine diced avocado and mango. Chop prawns into small pieces and place into bowl with avocado and mango. Add chilli, juice and zest from the lime, olive oil and parsley and stir to coat. Place lettuce cups on a tray, divide prawn mixture between cups and serve immediately. Shredded chicken breast could be used as an economical replacement for prawns, or if you have friends or family with a seafood allergy.